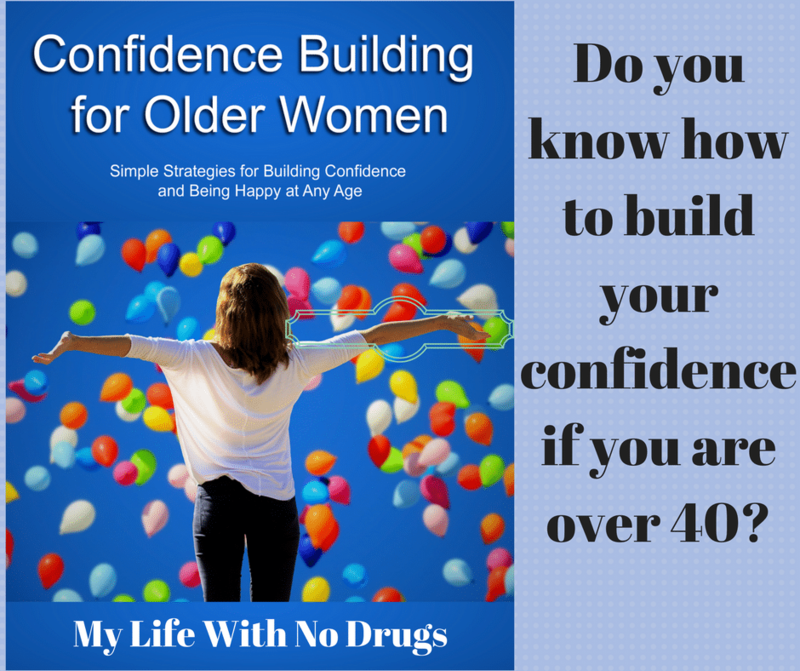 Many people suffer from confidence issues, but women, in particular, can suffer this problem increasingly as they age. No one likes the idea of getting older. The reality can be even worse than women imagine. This is because they go through several distinct phases in their lives, and they are not always positive ones. 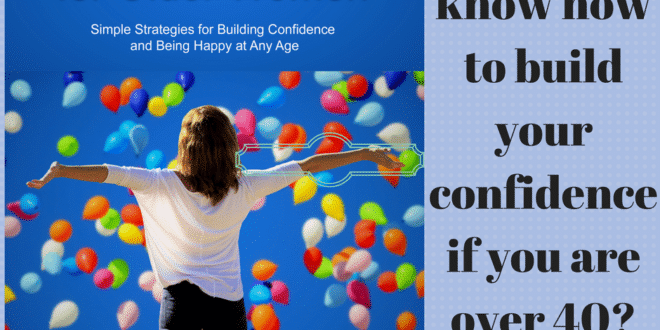 In this article, we will be discussing how older women can build their confidence and be happy no matter what their age. Let’s start with the main challenges facing older women when it comes to feeling and acting confident. This is not the case, of course. In fact, many people will tell you that life begins at 40. One reason for this is that a large number of women return to work after bringing up their children, and/or can focus on themselves more now that their children are growingly increasingly independent. However, going back to work can also be a confidence-destroying experience, depending on how much of a gap there is between the last time they worked and when they started their new job search. They may feel like they have missed out, they have to retrain, or they’re not as sharp as they used to be compared to their co-workers – especially younger ones. It may be difficult to get a job because they are seen as an “older” candidate. Older is not necessarily inferior, though. Older workers are usually more disciplined, less distracted and have a better work ethic. However, it is often more expensive to hire an older worker with more experience than a couple of graduates fresh out of college. This can mean a lot of applications and interviews, but no results, which can lead to feelings of rejection. It is important to remember at times like these that they have to be as good a fit for you as you will need to be for them. Don’t take it personally, and keep your confidence levels up by reminding yourself that there are plenty of opportunities available; it is just a case of being patient until you find the right one. Some women don’t wish to or can’t easily get back into their previous career or industry. Or, they might have been working just a series of jobs to make ends meet. However, that is not a good long-term solution if you want to plan for your retirement. In this case, the woman would need to decide what career she wants to pursue and take steps to get qualified. Or, she might consider starting her own business. This can mean a lot of time and effort, but it is a great way to earn extra income, or perhaps even generate a full-time salary. It can be difficult to focus on these issues if you are used to taking care of your family and not making yourself a priority. However, investing in yourself regarding education and new skills can literally transform your life for the better, and that of your family too. There are lots of free career and personality assessments online that can help point you in the right direction. There are many free and inexpensive courses available online such as on YouTube. Some are even offered by prestigious universities such Yale and MIT. If a person goes back to college in person, they can feel nervous because they are mixing with younger people again. On the other hand, this can give them a whole new energy and outlook on life. Self-confidence is all about being yourself. It starts with accepting yourself. Let’s look at this topic in more detail next. Self-confidence is often a matter of relativity. It’s hard to accept yourself as you are rather than not comparing yourself to other people – especially when you see women who seem to be younger and without a care in the world. But appearance is not the same as reality. We can never really live inside somebody else’s skin and know exactly what is going on in their life, so there is no point in envying them. A better approach is to spend time becoming your best self and living your best life, whatever that means to you. Comparing yourself to others can lead to a perception that you lack in some way. Envy and constantly trying to “keep up with the Joneses” can only make women more and more unhappy and lack in confidence. They might overspend, pretend to be someone they are not, and so on. This may work for a while, but sooner or later, they will realize that their life is built on a foundation of quicksand and they are living behind a façade all the time. The façade can almost be a way of life for some women because women tend to be defined by labels such as daughter, mother, sister, wife, and so forth. The pressure to fulfill these roles can be enormous. There is also the perception that arts subjects are for women, and math, science, and technology are for men. These stereotypes are breaking down slowly, but they are still common amongst parents and even educators. As women get older, some of their biggest challenges might have to do with health. 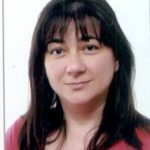 For example, many women suffer from various rheumatic diseases such as rheumatoid arthritis, and other debilitating conditions such as fibromyalgia and thyroid issues to a much greater extent than men. Health issues can have a severe physical and mental impact on a woman and make her feel old before her time. Society is not often patient concerning disabilities. As women get older, they also tend to gain weight and have difficulty in keeping it off. This might be due to a slow thyroid or other health issues or mobility issues. Even 20 extra pounds can start to really cause a drag on one’s energy level and physical fitness, making it difficult to exercise even though that is what’s needed to slim down. Also, gaining weight tends to make a woman feel less desirable and in particular, less noticed. Many women report that once they’ve gained weight, they become “invisible” to others regarding their sexual attractiveness. This can make them feel self-conscious and be lacking in confidence. If they are married, they may withdraw from intimacy due to a negative body image, even though their partner might not see a problem at all. Struggling to cut calories can leave women feeling starving, frustrated and as if their body isn’t their own. On the other hand, those who can successfully take charge of their health with fitness and weight-loss exercises and activities, eating healthily and so forth, can boost their confidence. Part of accepting yourself for who you are is taking the time for yourself, and developing a routine that incorporates good self-care. Practicing good self-care as you age is essential if you want to look and feel your best. As women age, they will notice changes to their hair and skin. A good skincare routine of cleansing, moisturizing and using light, water-based liquid makeup can help skin stay moist and youthful looking rather than dry and pasty. Watch out for adult acne. Do deal with the pimples, but don’t dry out the skin with harsh treatments. Also beware of rosacea, which causes reddened bumps on the skin. It can be tempting to try to cover them with makeup, but as with acne, this can make it worse. Beware of sun damage to any skin that is regularly exposed to the sun, such as the face, neck and the backs of the hands. Use a moisturizer with an SPF of at least 30. Wear sunglasses with UV protection all year round, even in winter. The sun reflects off the water at the beach and snow, in particular, causing eye damage and also wrinkles around the eyes, which can make you look old before your time. Gray hair is an unwelcome sign of aging. Temporary and permanent hair color can help hide those grays. Beware of brassy-looking colors and roots, though. Some women suffer hair thinning and even baldness. Rogaine can help grow back hair. Fashion wigs and scarves can also offset this issue. Discuss it with your doctor and make sure you are eating a healthy diet rich in protein. Keep hands well-manicured. Natural nails are fine as long as they are short and neat, with no chipped polish. Pedicures are also a good idea in the summer if you wear sandals or other open-toed shoes. Wear clothes that are slimming and age-appropriate. Make sure your wardrobe isn’t a throwback to your teen years. Aim for clothes that can be dressed for any occasion. Try mixing and matching outfits to make the most of your clothing budget. Choose colors that suit your skin tone and hair. Avoid the temptation to buy the latest fashions; due to color and style, they will be out of date next year, and everyone will know exactly how old the item is. Buy quality shoes that offer good support. Your feet will thank you for it. There’s no need to have a closet full of shoes – they go out of style quickly too. Invest in a classic handbag and briefcase. Some items for women can double as both. Always be sure you have several business outfits at the ready for interviews and more formal occasions. Likewise, have an elegant (and not too revealing) classic dress, like the little black dress. Looking the part can always help you boost your confidence. So too can set specific goals for personal development. Let’s look at a few of these next. Setting goals are one of the best ways to achieve what you want most in life. Without goals, you are living your life with no real direction or destination. That is like getting into a car and driving with no idea of where you want to go, without a map or GPS. Decide what is most important regarding boosting your confidence. Do you want to go back to college to finish your degree, or start a new one? Do you want to begin a whole new career as website designer? Once you know what the priority is, you can set the goal. For example, if you are going to start up a new career as a website designer, you would plan to take a course, get certified, and then start marketing your services so you could get a list of clients. But you have to walk before you can run. So there would be no point in marketing your services, for example, until you were close to completing your course and gaining your certificate. Each of these goals would, therefore, have to be lined up in the right order. Your goal is specific and time; that is, it will be completed by a certain date. You can measure it, such as, “I will complete my degree in 2020 and try to get at least a 3.5 GPA.” It also has to be realistic and achievable. For example, most people take 3 or 4 years to complete a college degree. Therefore, if you were starting from scratch, it would be pretty unlikely that you could finish your degree in 1 or 2 years. It is great to be clear about your destination, but you also need to enjoy the journey along the way. For example, it can be terrifying to go back to college, but it can also open doors to meeting new people and discovering a range of new experiences. You can try to go it alone and study by yourself all the time, or join a study group, share notes and ideas, and more. Sometimes it helps to break down a large goal into smaller ones you can check off from time to time as having been accomplished. For example, if you are taking a college class that is 12 weeks long, chances are you will have a mid-term exam and four essays. Working hard to do well on each and learning from your professor’s comments will be key. Each time you get a good grade on paper or exam, you will start to feel more successful and grow in confidence and self-esteem. If you do poorly, don’t just suffer in silence. Read the comments, ask your professor what you can do better, get help at the campus writing center to improve your essay style, and so on. You don’t have to be perfect. You just have to be willing to learn from your mistakes and do better. There are many free or cheap things you can do online related to personal development. If you wish to be more confident speaking in public, for example, why not take action to make this come about, such as taking a course and joining a speaker’s bureau or Toastmasters. For example, If you struggle with shyness, set a goal of speaking to three strangers each day. You could also write an “elevator speech” to tell people who you are and what you do to market yourself well. It should be no more than 30 seconds long and tell people who you are and what problems you solve if it’s work related. Practice it until it sounds natural and is easy for you to say without getting nervous. No matter what you wish to learn or improve, chances are there is a course or coaching for that. Life coaches can really help you work towards your goals. Setting the right goals encourages personal growth, better self-esteem, and overall well-being. It can help you become your best self and live your best life, brimming over with confidence. If you ask most people what they find attractive about an individual, they will often say their confidence. A woman who accepts herself for who she is and is comfortable in her own skin will be like a magnet to others who want to get to know her. If you’ve been struggling with your self-confidence due to the aging process, issues with your health, or insecurities about your appearance now that you are getting older, it’s time to set some goals to boost your self-confidence and see what a difference it can make to your life. Previous article Do you know the effects of stress? Learn how you can Overcome them !